SCOTT SAFETY says any kind of visual impairment can reduce a person’s health and wellbeing, affect their ability to work and also their ability to perform normal, everyday activities such as reading or driving. As designer, manufacturer and supplier of personal protective equipment, the company is launching a new and revitalised goggle range, specifically designed to encourage wearer use and acceptance. The first stage in a total revamp of its eye protection portfolio, Scott Safety says its new goggle range combines the latest technology with modern design. Utilising flexible, comfortable materials and anthropomorphic data, Scott Safety says it has optimised the shape and size of its goggles to ensure a secure fit from a wide range of users. The new models offer a variety of material and venting options to improve comfort and encourage user adoption. 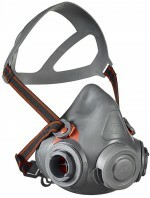 Scott Safety, a leader in the design and manufacture of respirators and personal protective equipment, reports the new AVIVA is its latest innovative half mask. The company says ensuring worker’s wellbeing is priority; its low-profile head harness offers greater stability and compatibility with safety helmets and eye protection. 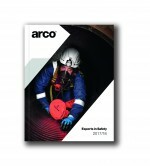 ARCO, a leading UK safety company, has launched its 2017-18 Big Book catalogue offering the best choice in personal protective equipment (PPE) and workwear. Arco says as well as the new products, the Big Book also features three new categories: First Aid, Storage and Materials Handling, and Maintenance and Facility supplies. 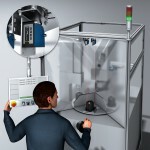 The SICK OD1000 displacement sensor is said to set new standards in high-precision distance measurement with its extremely long 1 metre scanning range and a resolution down to 450µm. Developed by SICK to achieve high consistency and linearity in measurement results on many different surfaces and colours, even at high production speeds, SICK says the OD1000 goes the extra distance for performance and value. 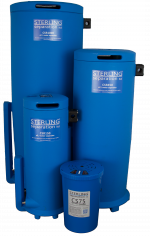 STERLING SEPARATION has reported exceptional market responses to its new range of oil/water separators for compressed air condensate and says investment in the all-new CS75 separator for 11kW compressors has proved particularly well placed, with sales well above expectations. A low cost and serviceable device, CS75 offers an affordable solution for users of smaller compressed air systems. Also available are all-new separators with capacities of 150, 450 and 1000 scfm offering quality construction with consistent performance at modest cost for the widest possible range of applications. The company says with over 40 years in the business, every STERLING separator is ‘The Product of Experience’. MAKITA says its 10.8v CXT tool range is growing in popularity, driven by the very compact size and low weight advantages combined with outstanding performance and durability. 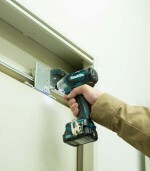 For example, the company says the new Makita TD111D impact driver with brushless motor delivers an outstanding 135Nm of tightening torque yet weighs just 1.1kgs with an overall length of only 135mm from chuck to back of body and continues with performance like this the 10.8v CXT range is proving attractive to all property installation professionals.